The following choice of blogging app for Android devices has been made to help serious and professional bloggers using the Android OS to save time blogging. 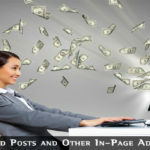 There was a time when bloggers, including professional bloggers whose sole income came from their blogs, had to work from an IBM machine, a PC or an Apple Mac. These days are over. Now bloggers can use portable devices such as tablets and smartphones. Along with portable devices come apps that can be used by bloggers to enable them to manage their blogs from their smartphone or tablet and any other portable device using the Android operating system. Bloggers, whether amateur or professional bloggers, have had their blogging activities made much easier with the development of mobile blogging apps. They can blog from anywhere they can get a signal. Some apps were originally developed for the iOS used in Apple’s iPhone. However, with the surge in Android devices, particularly the Samsung Galaxy and the Google Pixel phones, most have been adapted to be suitable for both the iOS and Android. Android was developed by Google, and is a Linux-base OS designed specifically for mobile touchscreen devices. Android devices use swiping, tapping and other on-screen manipulations. It is the OS used by Samsung, Apple’s major competitor in the field of mobile devices and smartphones. It is also used in Google’s Pixel mobile devices. 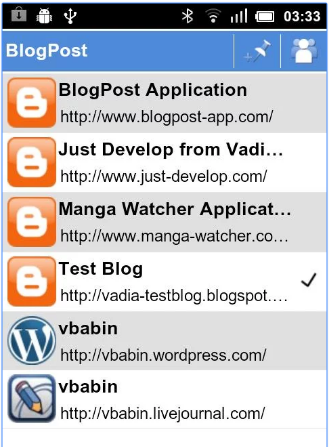 The Blogger app was created by Google who owns the Blogger blogging application. 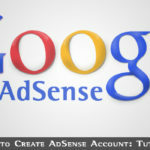 Being a Google app, it is an ideal blogging app for Android devices. 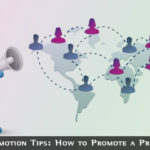 It enables you to publish news posts from Google News as soon as they come in, and even enables you to add the location of each post. You can add images and labels to your posts, and Blogger allows you to switch easily between multiple blogs – if you have more than one. Tumblr is similar to Blogger. You can easily write new posts and publish them on your blog from your mobile device – tablet or smartphone. You can write drafts for future posting and add images, music and videos. You can also share music, links and texts and reply to messages. 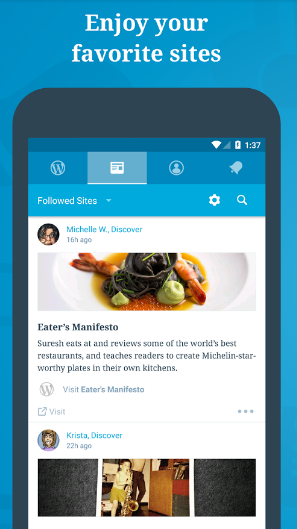 And that is just the start with this blogging app for Android. 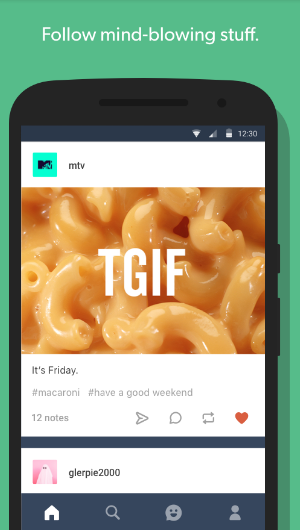 You can also use Tumblr to find posts about your favorite stuff, and communicate with others that share your love and your interests. It’s great for bloggers looking for others who share the same interests. If you use BlogSpot or WordPress then BlogPost enables you to post your blogs to your choice of blogging platform. The visual editor is awesome and offers a number of options such as text style and lists. If you have YouTube, Flickr or Picasa images or videos, BlogPost makes it very easily to embed them into your posts. It is fast and easy to use. WordPress is believed by many to be the perfect blogging platform. It is ideal for longer posts, particularly if you prefer to write text blogs than use videos. You can also use WordPress to create your own free website with a blog attached. WordPress can be used with iOS and Android, but is best with tablets. The smartphone display may be small, although there are responsive WordPress themes available that can provide blog text that is readable on even the smallest screens. This Android blogging app enables you to write text blogs – novels, stories and what you have been up to during the week! You can convert your thoughts into words and rapidly publish them to your readers. So what’s different with Writer – surely all blogging apps allow you to do this? The point is that it is basic – just write and then publish. No need for bells and whistles to make Writer work for you! 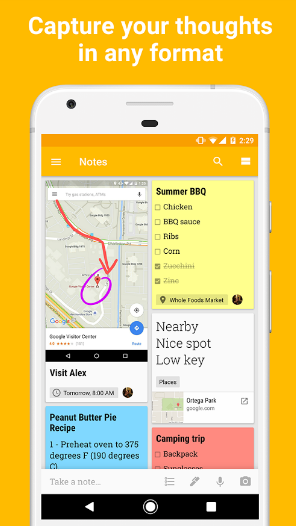 Google Keep is a very useful blogging app for bloggers, and is available in iOS and Android versions. If something comes to mind, such a great topic for a blog, you can note it on Google Keep and retrieve your ideas when you need them. You can set it to give you a reminder later. You can speak a voice memo and retrieve it later. Snag a screenshot or take a photo and find it later when you are ready to use it. You can not only keep your thoughts, ideas and physical voice memos and photos for easy retrieval, but you can also share them with others using Google Keep. 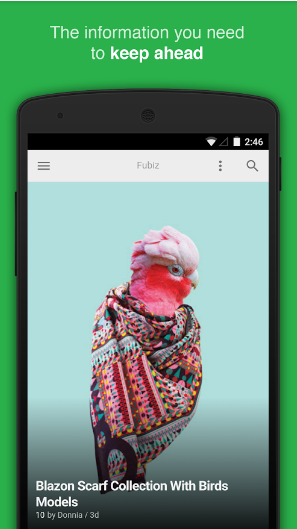 Feedly enables you to keep current with other posts and news related to your blog. You can get RSS feeds from multiple sources, and keep your YouTube channels, other blogs and news sources in one easy to access app. You can use them yourself or share them with others. If you maintain a blog that relies on current news for all or just part of your content, then Feedly can not only give you that news, but also allow you to view the latest posts and videos on the topic. You can store the news, videos and posts in separate folders for use when needed. 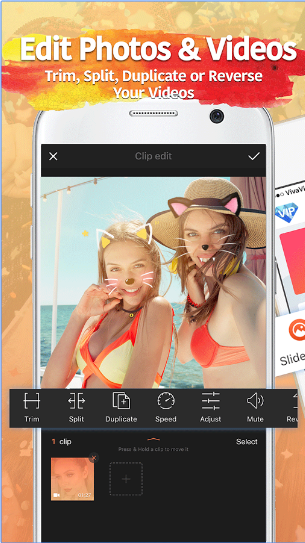 If you run a vlog, or video blog, VivaVideo is a very useful video editing app for your Samsung or other android phone. Whether you make your own videos or use online video content, this allows you to store, edit and then post your videos. It is an essential blogging app for vloggers and other bloggers who want to include videos in their posts. Sharing new posts on multiple social media can be time consuming for many bloggers. Posting on Twitter, Pinterest, Facebook, LinkedIn, Instagram and Google+ can take a great deal of your time. BufferApp can help you to do this with the minimum of fuss. The free plan allows you to post to any four of these social sites with 10 scheduled posts. Paid plans increase your options significantly. For each update, you can get the following analytical data: Clicks, Retweets, Shares, Likes, Respins, Mentions and whatever other data your choice of social media offer. To schedule your posts to specified time schedules, simple hit “Buffer”. You can use the Android “Share to” feature to share your post from all your favorite apps. 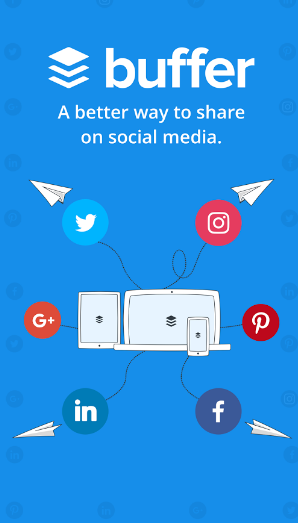 The Buffer app makes sharing of posts very easy and almost hands-free! It’s not easy to write blogs using the default Android typing system. Swiftkey is a keyboard app that enables you to write using an online keyboard – but not just any old online keyboard. With Swiftkey, you can change the keyboard appearance using several options available. 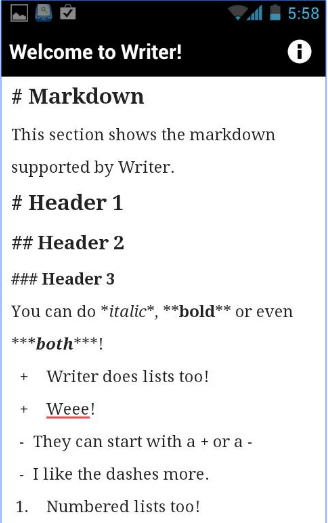 You can write easy and fast with correction of your errors – as is fairly common these days. You can also add sounds to the keys if you wish. Some people like to hear traditional typewriter clicks when they type. The keyboard can use your most used words and phrases to use predictive text, offering you options regarding the word you want to type. 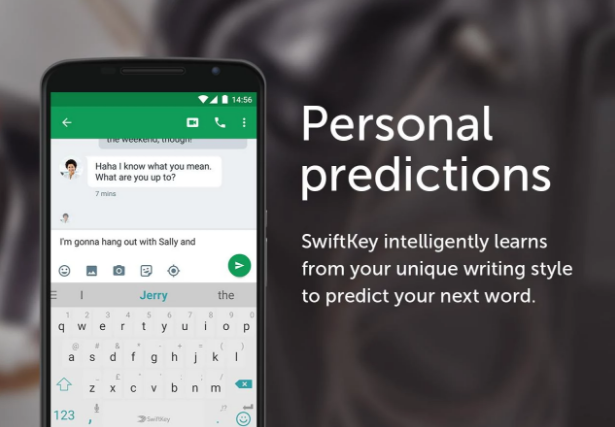 You can install Swiftkey on any Android device: smartphone, tablet or laptop. The above 10 blog apps for Android devices can be used on Android smartphones, tablets or laptops/notebooks. Each has something to offer to regular or even professional bloggers. They can help provide you collect information on your niche, share information, photos and videos, collect your thoughts, share your downloads and make it easy for you to type and present your blog. Many of these apps can also be used with other operating systems, particularly Apple’s iOS. Whether you go with Android (Google, Samsung, etc) or the iOS (Macs, iPhones and other Apple devices) you are sure to find something on this list to help you blog easier and quicker.